1. 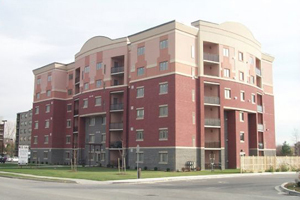 One-stop shopping sources much of a building's shell in one efficient, precast contract. 2. Fabrication of precast elements during permitting and/or site preparation saves time resulting in fast efficient construction regardless of weather conditions. 3. Designing precast systems is easier, thanks to assistance from Strescon Limited Sales / Engineering department. 4. Precast components can be erected in winter conditions, maintaining tight schedules. 5. With total precast systems, speedy erection allows the contractor to enclose the building quickly, giving interior trades faster access. 6. Precast components are naturally fire protected, because they will not burn. Precast's inherent fire resistance eliminates the messy and time-consuming fireproofing required for a steel structure and subsequent repairs caused by other trades. Strescon Limited supplies precast concrete components certified in accordance with CSA A23.4 Precast concrete – Materials and construction. Tight control ensures that components are produced with uniform consistency. Because of precast concrete's tightly controlled and shorter production process, costs can be more accurately estimated earlier in the process. Changes during design development can be quickly reassessed by Strescon Limited Sales / Estimating / Engineering departments to verify that estimates remain stable. The contractor, owner and design team are assured that project budgets remain sound. Strescon Limited will help support design and coordination at the schematic stage. We can ensure the building takes full advantage of state-of-the-art fabrication and connection techniques. This input allows the project to remain cost-effective and efficiently designed.